When tickets about related issues arise (e.g., multiple customer complaints about the same botched shipment), they can be linked to each other for easier reference. Click the ➕ Add Link button to access the link dialog. The link dialog. Specify a ticket to link with by ID (1), or select one from the list (2). 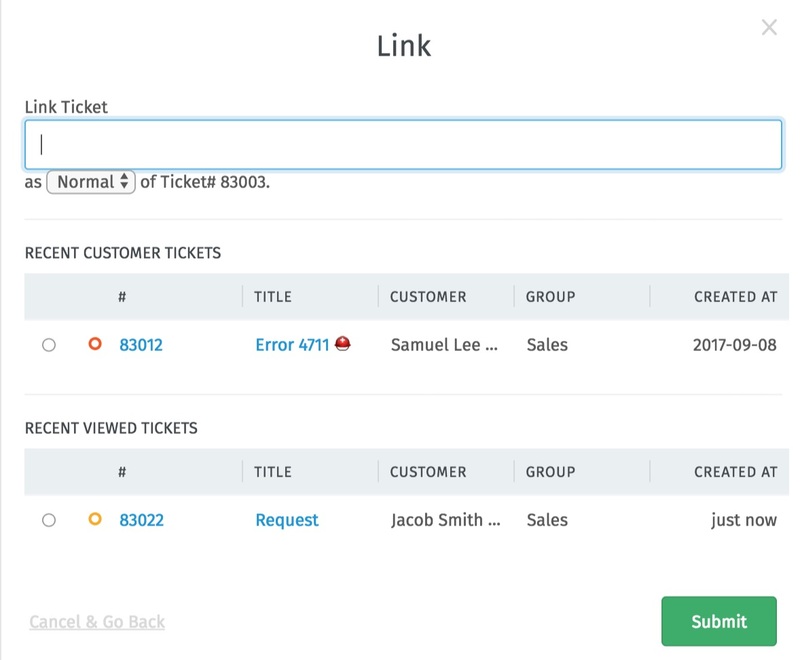 Linked tickets may optionally be organized into a parent-child hierarchy.